Few symbols better captured the Cold War divide between western Europe and the Soviet bloc than the Berlin Wall, a concrete and barbed wire barrier that divided Germany’s largest city for nearly 30 years. As World War II wound to a close, Germany and Berlin were divided into four zones, each administered by one of the allied powers. 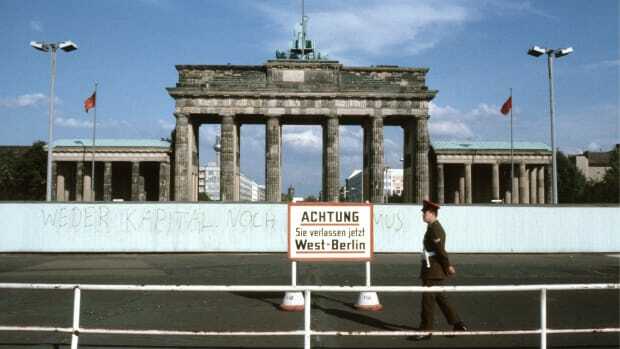 Because Berlin was in Germany’s eastern half, the city’s British, French and U.S.-administered zones were fully surrounded by the Soviet-run areas. 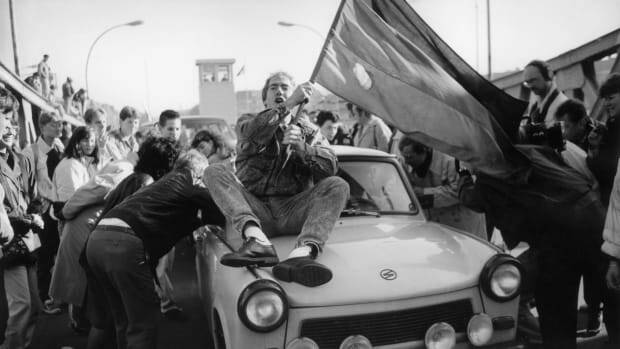 The Soviets set up a communist-aligned state in East Germany and sealed the border to halt the migration of up to one-sixth of East Germany’s population to the West. On August 13, 1961 the first incarnation of the wall went up as barbed wire strung between rows of bricked-up buildings. It was eventually made more foreboding by incorporating a row of subsidiary walls, trenches, electric fences and an open “death strip” overseen by armed guards in 302 watchtowers. (The graffiti-covered concrete slab wall featured in the most famous photographs of the wall was built in 1979). 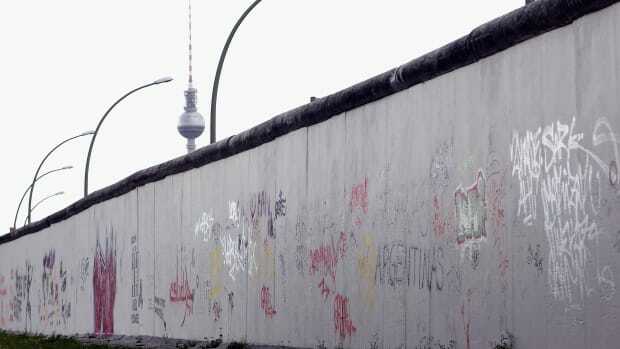 Once completed, the wall followed a 96-mile zigzag path, but only 27 miles of the wall divided East and West Berlin; the rest of the barrier separated West Berlin from the surrounding East German countryside. 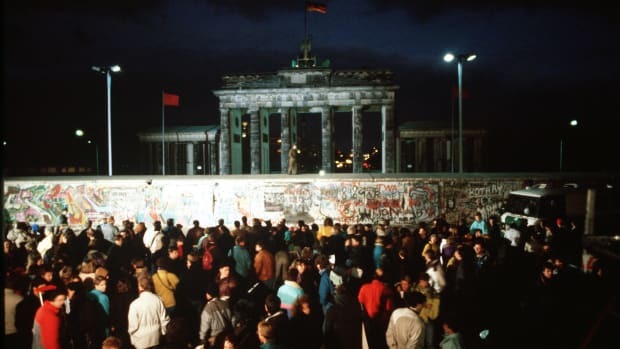 On November 9, 1989 the Soviet and East German governments relaxed their border controls, and immediately Berliners crowded in to breach the wall. Within months, all but a few sections of the wall had been dismantled, destined for museums, for souvenir-hunters’ pockets or for the landfill.